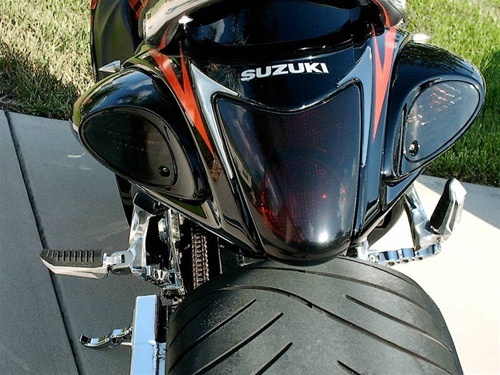 This dark smoked acrylic plastic kit transforms the tail with the tail light cover and the two turn signal covers that give the stealthy look while still allowing the light to shine through! This kit requires no modifications as they fit over the stock parts and move the signals back. Installation time is less than 30 minutes. These are brand new parts still in the original packaging. 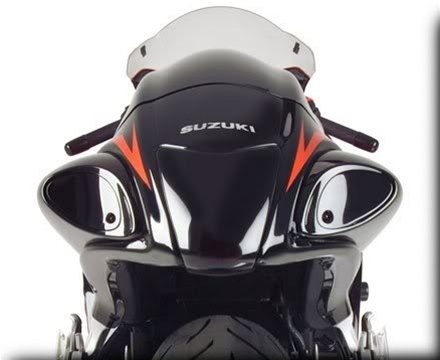 The turn signal lenses on this product are not a perfect part. They have small bubbles/imperfections. This is the case with any and all Hot Bodies smoke tail kits do to the manufacturing process. These are the same quality when purchased from us or any other dealer for Hot Bodies. They still look great when installed on the bike! A must for any 2nd generation Hayabusa! 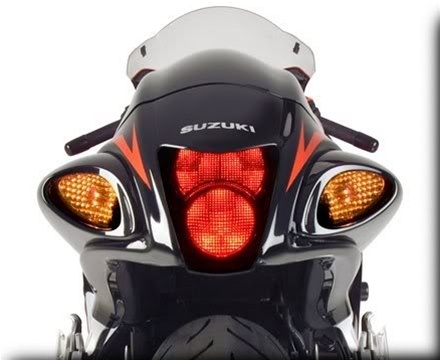 • Brake light and signal covers. • Hardware to relocate turn signals.